Just when you thought you'd endured all the reminders of how badly this year sucked, I have one more for you: we lost David Bowie. Blegh. But one lovely thing is that the brilliant artist released new music prior to his death in January 2016, and said music is eligible for the 2017 Grammys. The nominations will be announced on Dec. 6. And you gotta know that I'll take any possible excuse to remember and celebrate this genius, and I'm not about to wait until Tuesday to do it, so real talk — how many Grammys does Bowie have? Whatever the number, it was never going to be high enough, but would you believe that this legend has only won one Grammy? I know. He was nominated for 10, received a Lifetime Achievement Award at the 2006 ceremony, and is expected to rack up some nominations for the 2017 show, but as of this moment, the late singer has received just one competitive award. And just to add insult to injury, it was three decades ago, all the way back in 1985, when Bowie won the award for Best Video, Short Form for Jazzin' For Blue Jean . 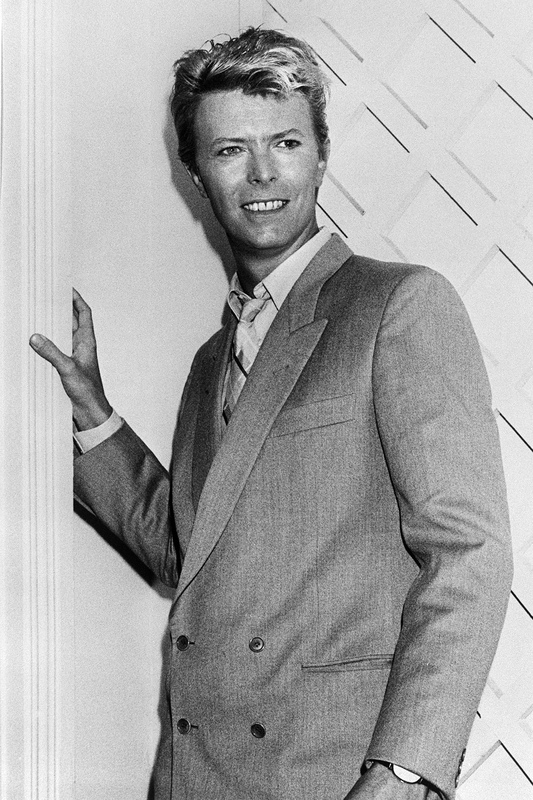 But even without wins, the nominations throughout his career have been a testament to Bowie's wide range and enduring impact: He came out of the Grammy gate in 1984 with an Album of the Year nomination for Let's Dance and a Best Rock Vocal Performance (Male) nod for "Cat People (Putting Out Fire)." A year later, he was nominated for the latter again, this time for "Blue Jean." This was the same year Bowie won his only Grammy, although he was also nominated in 1985 in the Best Music Film category for Serious Moonlight. Over a decade later, in 1998, Bowie was back, and up for Best Alternative Music Performance for Earthling, and Best Male Rock Vocal Performance for "Dead Man Walking." Best Male Rock Vocal Performance would become his most frequent nomination category; he snagged it again in 2001 for "Thursday's Child," then 2003 and 2004 for "Slow Burn" and "New Killer Star," respectively. Ten years after that, The Next Day received a nod for Best Rock Album in 2014, and "The Stars (Are Out Tonight)" was nominated for Best Rock Performance, but as you already know, none of these later noms resulted in a win. Which brings us to today, and the nominations that Bowie is expected to garner after their reveal on Dec. 6. Forbes predicts that at the very least, Bowie's posthumous ballad "Blackstar" will be nominated in the Best Song category, which they note typically goes to a more sentimental, artistic ballad, rather than the smash-hit of the summer or something similar. And the haunting melody of a song released by an artist as iconic as Bowie, after his death? Well, that certainly fits the bill. So while it doesn't lessen the twin tragedies of Bowie's death and the amount of times he's been passed over by the Recording Academy, the fact that he could be honored with another Grammy, even after his death, is somewhat comforting. Here's hoping that Bowie receives at least some of the commendation and hard-earned approval that was denied him during life.